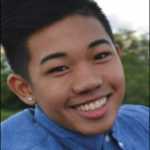 Maui High School is the only high school on Maui that requires all of its graduating seniors to complete a Senior Project. Senior Project involves a proposal that needs to be approved and signed by Ti’a Joaquin, the Curriculum Coordinator. The required documents include a signed mentor agreement, a contact log to record your minimum of twenty hours, and a journal log with at least eight entries. To be able to successfully complete a Senior Project, the students must apply time management, planning, and support an idea or cause using their own skills. As students brainstorm, plan, collaborate, network, and fulfill their proposed projects, they are on their way to find themselves personally while doing a project that interests them. The Building and Construction Capstone class will be building a tiny house. Mark Rafael, a member of the Building and Construction Capstone class, proudly says, “I’ve always loved building things with my hands.” By doing the senior project, seniors are more challenged but of course, during their presentations, they will all be proud of their work. Not only will they feel successful but also after everything, they will have an idea as to the type of environment they desire to work at in the future. In the past, high school seniors practiced their presentations to different classes. 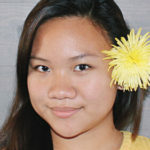 Trisha Mae Rapacon witnessed a presentation from an Advancement Via Individual Determination student last school year. Trisha says, “That particular presentation stood out to me the most because the argument really correlated well with the hours, which was to travel to Mexico for the summer.” The presenter volunteered in an orphanage where disabled children and adults were being taken care of. 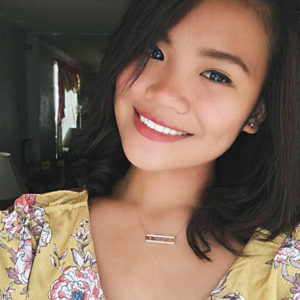 “The student really proved that disabled children should not be aborted because they can also bring happiness to people’s lives,” said Trisha, who learned that every person has the chance to live as much as we all do. 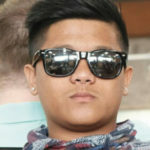 Like Bonie, Vinrichie Bongcaron will be presenting something that is interesting and he feels passionate about—art therapy. 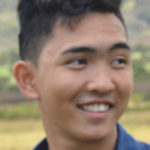 Bongcaron is looking forward to his classmates and his own future presentation, especially since he hasn’t witnessed any presentations in the past. Google® Is Not Everything is a monthly column authored by high school students. 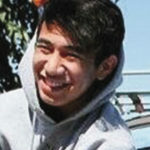 The title of the column emphasizes that education is more than just googling a topic. Google® is a registered trademark. 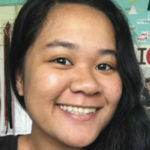 This month’s guest columnist is Angela Cainguitan, a senior at Maui High School. 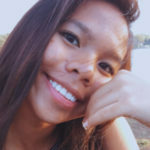 Angela is an Advancement via Individual Determination (AVID) student at Maui High School and is interested in becoming a surgical technologist. 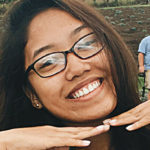 She is the President of the Good Shepherd Episcopal Church Youth Council and was selected as one of fourteen youth in the State to represent Hawai‘i at this summer’s Episcopal Youth Event in Oklahoma. Angela is the daughter of Benny and Julita Bumanglag. As for me, I will be volunteering for A Cup of Cold Water (ACCW) which is a community Care-Van outreach program on the island of Maui, led by Episcopalians from four churches: Good Shepherd in Wailuku, Holy Innocents in Lahaina, St. John’s in Kula and Trinity By-the-Sea in Kīhei. ACCW is so meaningful and hopeful for those who are homeless that it made me—a youth from Good Shepherd Episcopal Church—want to also be a part of it. I wanted to actually see and help those who are in need. According to The Episcopal Diocese of Hawai‘i’s Website, “In 2015, A Cup of Cold Water conducted 158 mission runs and completed 8,673 service contacts with people in need,” and “in 2016, A Cup of Cold Water conducted 167 mission runs and completed 9,779 service contact with people in need.” I want to help those in need and even though I may think it’s not that much, for them, it means so much. I wanted to research and witness how the atmosphere is for those who intentionally want to do a good cause for the community. More importantly, I want to learn more about Maui’s homelessness population because I have seen so many of them walking around, especially in Kahului, where I live. I want to help and listen to their stories of why they are in the situation they are in. Having that knowledge, I hope to to understand what our community needs to do to help.